Staging your home to show off your home is an important part of selling your home. Attractive staging can help sway people as they make their final decision on which home to buy. In the fall, staging your home is especially important. Coming off a hot real estate market in the summer, you want to be sure your home is staged to sell! Boost your curb appeal. Your kids may like the leaves falling from the trees, but others may not. Rake leaves out of the way to let your lawn shine. Add seasonal flowers – but not too many, a busy garden could detract from potential buyers, and make sure your home is a neutral color. Accentuate the light. With fall, the days are getting shorter, so light is important. Open curtains, pull up the blinds and use light colors when decorating to make your house seem light and inviting. Paint walls a neutral color. You may love the pea soup green walls in your living room, but that lively shade of green might not be attractive to potential buyers. Use a lighter, more neutral color instead. Accentuate your home’s features. Clean your custom fireplace, sand and restain your hardwood floors, and powerwash your fabulous deck and patio! Don’t overwhelm home shoppers. If you bring too many of the fall colors and smells indoors, it could scare off potential buyers. Keep accents light, and remember to put personal items away. If you want to use room spray or burn candles, use light, neutral scents. Remember to keep your home cozy. People want to buy a house they can see themselves in. 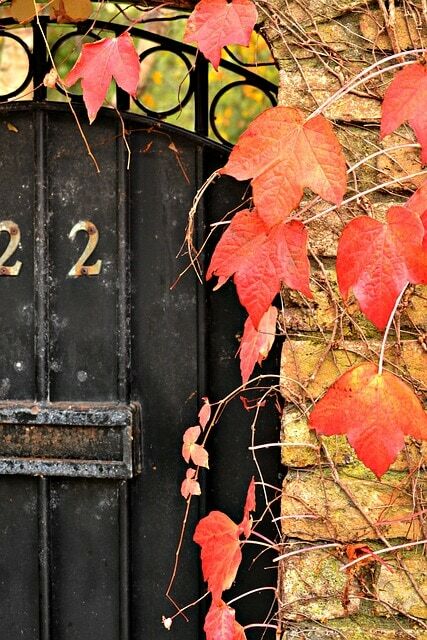 Keep your thermostat at a comfortable temperature, add some seasonal décor, and tie in the smells of fall. Present a welcoming entryway. Whether you have a small porch or an elaborate entryway, the entrance your home will set the tone for prospective buyers’ visits. If it is warm and inviting, buyers will start off the home tour with a positive impression. No matter what the season, good home staging is important. The tips above are a good start to home staging, but you will want to check with your Realtor® too. She’ll have more great ideas – and contacts – to help you with more elaborate staging. Good luck!